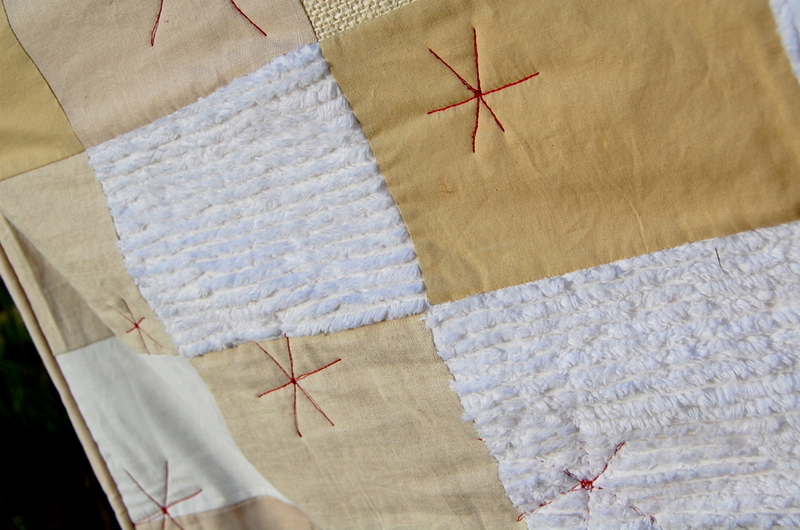 The second of the three quilts, again focusing more on texture and feel rather than color. 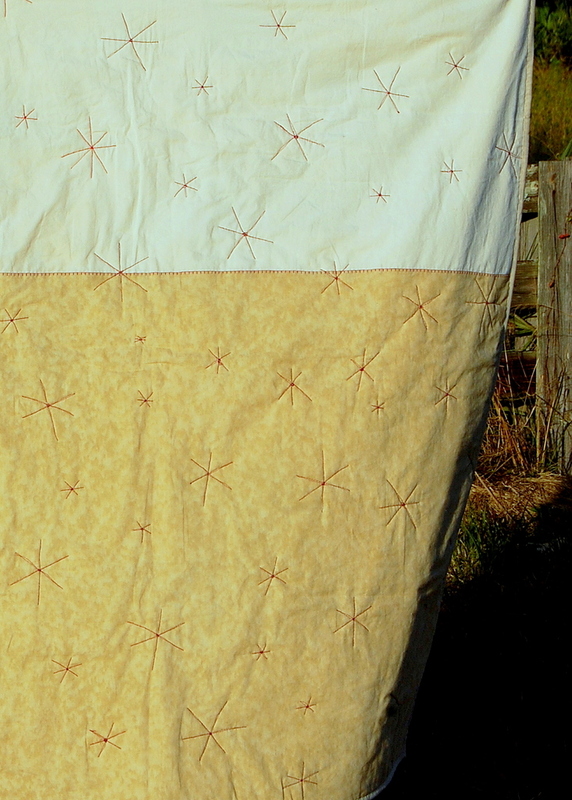 This quilt uses more of the tans than the other two. Each of the quilts has a different color value, depending on the quantity of whites and type and quantity of tans. I had a great time exploring the possibilities! 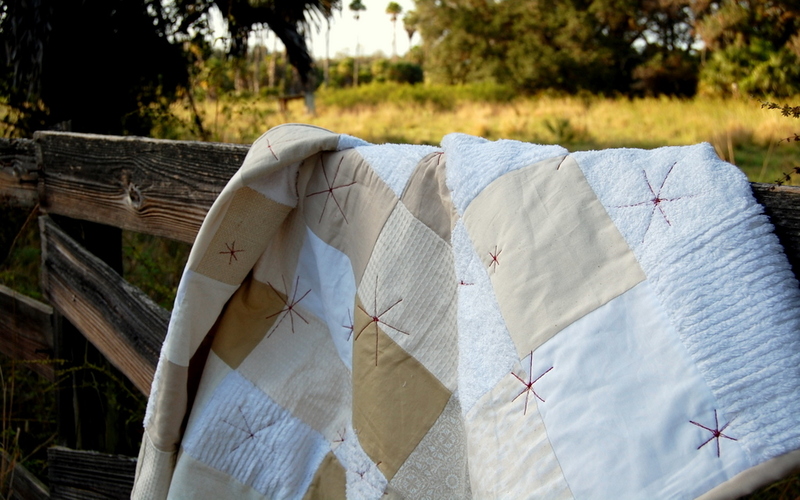 I love the rich feel this quilt has. The red quilting was a must. It really adds just the right additional character to the quilt. 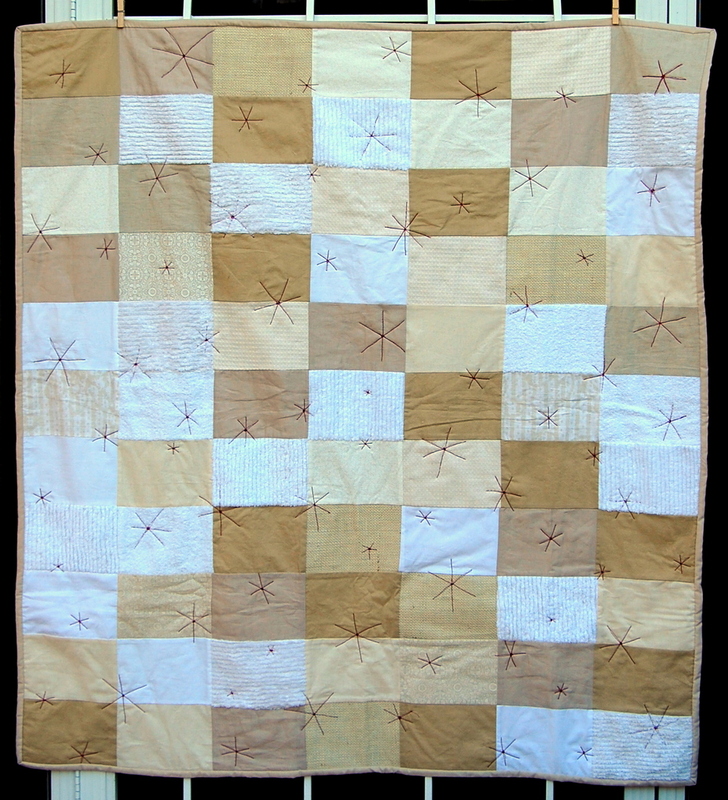 I opted for random free-motion stars, a contrast to the straight lines of the first quilt. I was certainly influenced a bit by the Christmas music I had playing in the background and comfortable thoughts of snowflakes and snow and starry nights. It was all I could do not to take this downtown and photograph it in front of the Christmas trees. After finishing the binding I opened the quilt and my first thought was, "Oh! This belongs in my house." It's a perfect match for my living room. But alas, it won't be staying with me and is available in the shop. I'd like to say this is my favorite of the three. And it is, until I look at the others, then they're my favorites too. I have to say instead that I'm very happy with all of them. 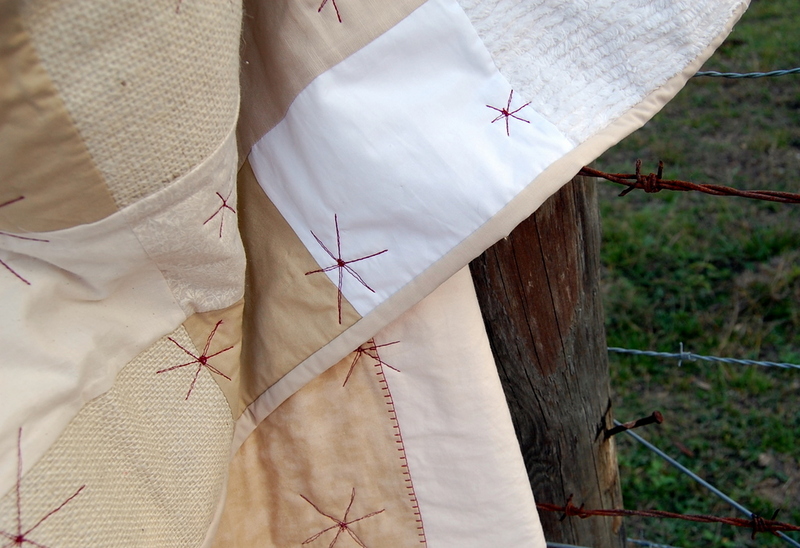 I hope you enjoy the views of the quilt and that the start to your Christmas season is "merry and bright". 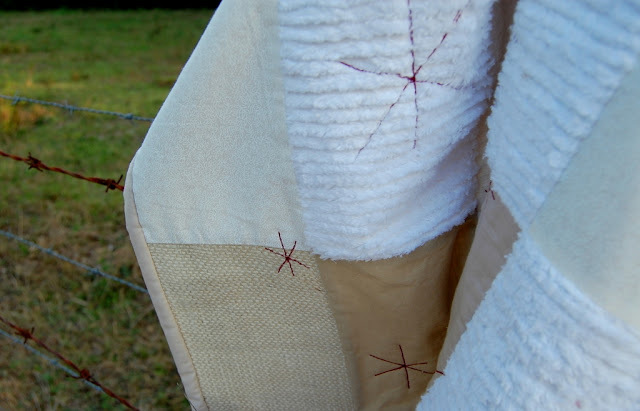 Your quilt is beautiful and so unique. I will have to remember this idea.